A new research project at Rochester Institute of Technology will help ensure the endangered language of the Seneca Indian Nation will be preserved. Using deep learning, a form of artificial intelligence, RIT researchers are building an automatic speech recognition application to document and transcribe the traditional language of the Seneca people. The work is also intended to be a technological resource to preserve other rare or vanishing languages. 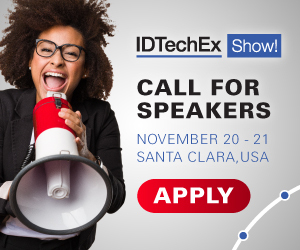 For more information see the IDTechEx revert on Ten Forecasts on Digital Transformation. Jimerson is able to bridge both the technology and the language. "Under the hood, it is data. With many Native languages, you don't have that volume of data," he said, explaining that some languages, while spoken, may not have as many formal linguistical tools—dictionaries, grammatical materials or extensive classes for non-native speakers, similar to those for Spanish or Chinese. "One of the most expensive and time-consuming processes of documenting language is collecting and transcribing it. We are looking at taking deep networks and maybe changing the architecture, making some synthetic data to create more data, but how do you make this work in deep learning? How do you augment data you already have?"